Due to the complexity of modern cyber attacks, cyber security companies face a challenge to catch up with their adversaries by introducing new technologies and talents to the industry. According to Cyber Security Ventures, the cybersecurity industry is on the rise and it is expected to grow from $77 Billion in 2015 to $170 Billion by 2020. This research and market intelligence firm rates cyber security industry players and we intend to provide you the top list for the cyber security companies for 2019. FireEye has invented a purpose-built, virtual machine-based security platform that provides real-time threat protection to enterprises and governments worldwide against the next generation of cyber attacks. These highly sophisticated cyber attacks easily circumvent traditional signature-based defenses, such as next-generation firewalls, IPS, anti-virus, and gateways. The FireEye Threat Prevention Platform provides real-time, dynamic threat protection without the use of signatures to protect an organization across the primary threat vectors and across the different stages of an attack life-cycle. The core of the FireEye platform is a virtual execution engine, complemented by dynamic threat intelligence, to identify and block cyber attacks in real-time. FireEye has over 2,700 customers across 67 countries, including over 157 of the Fortune 500. Lancope, Inc. is one of the leading cyber security companies in providing network visibility and security intelligence to defend enterprises against today’s top threats. By collecting and analyzing NetFlow, IPFIX and other types of flow data, Lancope’s StealthWatch® System helps organizations quickly detect a wide range of attacks from APTs and DDoS to zero-day malware and insider threats. Through pervasive insight across distributed networks, including mobile, identity and application awareness, Lancope accelerates incident response, improves forensic investigations and reduces enterprise risk. Lancope’s security capabilities are continuously enhanced with threat intelligence from the StealthWatch Labs research team. AlienVault is the champion of mid-size organizations that lack sufficient staff, security expertise, technology or budget to defend against modern threats. Our Unified Security Management (USM) platform provides all of the essential security controls required for complete security visibility and is designed to enable any IT or security practitioner to benefit from results on day one. Powered by the latest AlienVault Labs Threat Intelligence and the Open Threat Exchange—the world’s largest crowd-sourced threat intelligence exchange—AlienVault USM delivers a unified, simple and affordable solution for threat detection and compliance management. AlienVault is a privately held company headquartered in Silicon Valley and backed by Trident Capital, Kleiner Perkins Caufield & Byers, GGV Capital, Intel Capital, Sigma West, Adara Venture Partners, Top Tier Capital and Correlation Ventures. Norse is the global leader in live attack intelligence. Norse is distinguished from other cyber security companies because it delivers continuously updated and unique Internet and darknet intel that helps organizations detect and block attacks that other systems miss. The Norse DarkMatter™ platform detects new threats and tags nascent hazards long before they are spotted by traditional threat intelligence tools. Norse’s globally distributed distant early warning grid of millions of dark sensors, honeypots, crawlers, and agents deliver unique visibility into the Internet – especially the darknets, where bad actors operate. The Norse DarkMatter™ network processes hundreds of terabytes daily and computes over 1,500 distinct risk factors, live, for millions of IP addresses and URLs every day. Norse products tightly integrate with popular SIEM, IPS, and next-generation Firewall products to dramatically improve the performance, catch-rate and return-on-investment of your existing security infrastructure. Easy Solutions is the only security vendor focused on the comprehensive detection and prevention of electronic fraud across all devices, channels and clouds. Our products range from anti-phishing and secure browsing to multi-factor authentication and transaction anomaly detection, offering a one-stop shop for multiple fraud prevention services. Posting a nearly 1500-percent growth rate during the past three years, Easy Solutions made the Inc 500 List of Fastest-Growing Companies in 2011, was a Red Herring Top 100 North America Tech Start-Up in 2012, has been included in Gartner’s Magic Quadrant for Web Fraud since 2011 and has won rave reviews from such authorities in IT security as SC Magazine for its online fraud prevention solutions. The online activities of more than 70 million users from over 240 leading financial services companies, security firms, retailers, airlines and other entities in the United States and abroad are protected by Easy Solutions fraud prevention systems. Easy Solutions is attractive to companies that want a one-stop shop for most fraud-related prevention services. AVG is well known cyber security company for general public. The online security company providing leading software and services for securing devices, data, and people. Over 200 million active users, as of March 4, 2014, use AVG´s products and services. AVG’s Consumer portfolio includes internet security, performance optimization, and personal privacy and identity protection for mobile devices and desktops. The AVG Business portfolio – delivered by managed service providers, VARs, and resellers – offers IT administration, control and reporting, integrated security, and mobile device management that simplify and protect businesses. New technological capabilities come with new vulnerabilities. How do you keep up with attacks when there is a shortage of IT security skills and rising costs to secure your data? How fast can you address an attack when your solutions aren’t integrated? IBM offers a deep enterprise security portfolio customized to your company’s needs. Unmatched in an ability to help you disrupt new threats, deploy security innovations and reduce the cost and complexity of IT security, IBM can safeguard your most critical data from compromise. Founded in 2006, the company offers an automated cloud-based service for securing the web, mobile, and third-party enterprise applications. 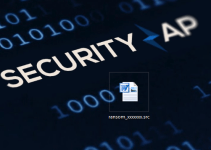 Veracode provides multiple security analysis technologies on a single platform, including static analysis, dynamic analysis, mobile application behavioral analysis and software composition analysis. Major investors include .406 Ventures, Atlas Venture, STARVest Partners, and Meritech Capital Partners. In its most recent funding round announced September 11, 2014, the firm raised US$40 million in a late-stage investment led by Wellington Management Company with participation from existing investors. Clearwater Compliance, LLC, focuses on helping healthcare organizations and their service providers improve patient safety and the quality of care by assisting them to establish, operationalize and mature their information risk management programs. Led by veteran, C-suite health care executives, Clearwater provides comprehensive, by-the-regs software and tools, educational events, and expert professional/advisory services for healthcare organizations ranging from major healthcare systems, hospitals, health plans and Fortune 100 companies, to medical practices and healthcare startups. Since 2003, the company has served over 400 organizations. NuData Security uses machine learning to precisely detect fraud for e-commerce, finance, and banking companies. By harnessing behavioral biometric data in addition to a range of more traditional fraud measures, NuData Security offers the most accurate self-learning fraud solution on the market, and provides protection against a range of fraud such as account takeover, registration fraud and check out fraud. Code Dx is a software assurance analytics tool that consolidates and normalizes vulnerabilities detected by disparate code analysis tools. Its visual analytics help you triage and prioritize your software’s vulnerabilities for efficient remediation. Sera-Brynn is a Cyber Security firm and PCI QSA dedicated to helping its clients secure their computing environments and meet applicable mandatory industry and government compliance requirements. Technology can no longer guarantee safety from data breaches, which is why Sera-Brynn focuses on the GRC strategies all organizations and businesses must employ to protect themselves and their reputations after the inevitable data breach. Specifically, Sera-Brynn focuses on Compliance, Insurance, and Response. Sera-Brynn is the only PCI QSA in North America partnered with a $6B financial institution, and the firm works closely with the insurance industry, legal offices nationwide, and law enforcement at all levels. Sera-Brynn is therefore the only cyber security firm able to offer and manage compliance support and audits, cyber insurance, and incident response activities (incorporating the proper legal, law enforcement and crisis action framework), all under one roof. DFLabs is a Technology and Services company specialized in Cyber Security Incident and Data Breach Response. DFLab’s mission is: eliminating the complexity of Cyber Security Incident and DataBreach, reducing reaction time and risk exposure. In other words Cyber Incidents Under Control. With this goal in mind, this cyber security company created IncMan NG, the cutting edge technology platform for managing and responding to cyber incidents and share intelligence. IncMan has been created for SOC and CSIRT orchestration, and It is currently being used by many Fortune 100/1000, and Financial Services Institutions worldwide. Combining the security expertise of McAfee with the innovation, performance, and trust of Intel. Simplify security with a single platform and unified framework, backed by real-time threat intelligence. On March 17, 2010, McAfee launched Cloud Secure program, a new service for Software-as-a-Service (SaaS) providers to add additional security to their cloud deployments. 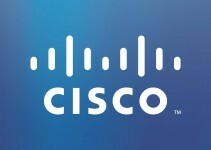 The new program includes cloud security certification services that are provided on an annual basis and will include existing security controls, processes, and certifications, as well as future cloud security standards; and automatic and daily security audits, remediation of vulnerabilities and reporting of the security status of their service and network using the McAfee Cloud Secure service. The company has been a wholly owned subsidiary of Intel since February 2011, and now forms part of its Intel Security division. Intel confirmed in 2014 that it planned to drop the McAfee brand. BT provides the full range of cyber security consultancy and services. This cyber security company can conduct ethical hacking exercises to identify weaknesses, and then undertake continuous vulnerability scanning and threat monitoring. Their managed security services enable customers to transmit sensitive information around the world using secure document delivery and email. BT can implement message scanning and virus protection services, and provide file encryption or public key infrastructure services. Cyber security company offers denial of service mitigation and intrusion detection/prevention services and provide managed firewall services. BT provides cyber security services to the US and UK defense departments – so mining, oil, and gas companies can be confident to entrust their digital security to us.